TURNKEY EMERGENCY INFORMATION COMPLIANCE, STRAIGHT FROM THE SOURCE. 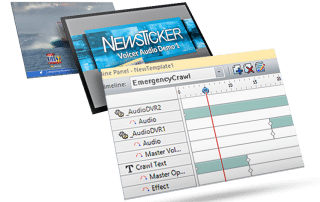 NewsTicker Voicer streamlines compliance with the FCC mandate to provide a secondary audio stream of emergency information presented visually. As NewsTicker already manages your emergency information as breaking news crawls, school closings and severe weather, NewsTicker Voicer works transparently to perform the required audio insertion. Meeting compliant mandates is seamless to your producers. They simply enter breaking news as they normally do, and send the playlist to air. 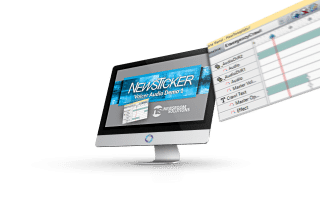 Behind the scenes, NewsTicker will duck your program audio, play an aural alert tone in your desired primary audio channels on your Freedom, then restore program audio. This tone, played over your embedded audio stream, advises the visually impaired that emergency information is being displayed. NewsTicker will then duck the audio on your SAP channel and speak the text using a natural sounding voice. Once the text has completed, it will restore the SAP audio automatically. ChyronHego Senior Product Manager Drew Hahn highlights NewsTicker 5. 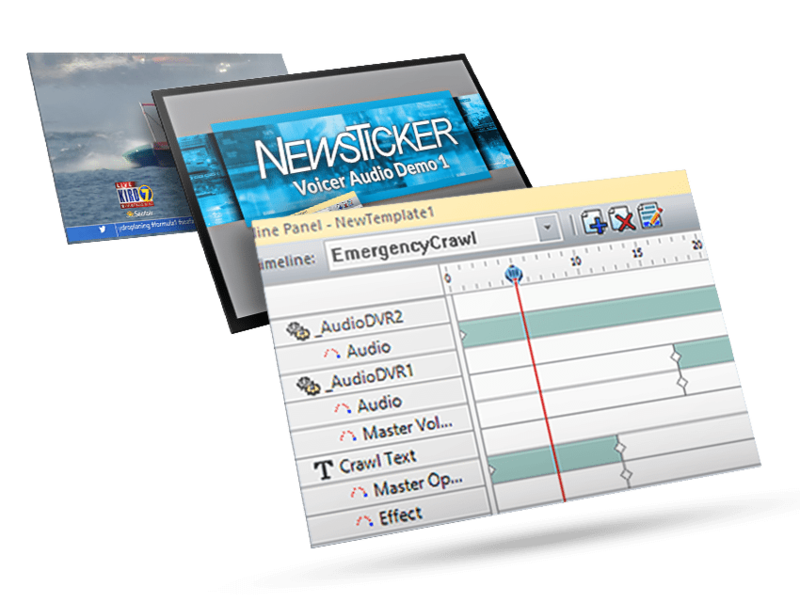 Most NewsTicker clients use the FreedomHD graphical renderer downstream of master control for their ticker. Now, the same hardware can perform your entire audio tone and text-to-speech insertion. NewsTicker Voicer’s text-to-speech engine is built on enterprise Linux using a realistic synthetic voice. Your audience will hear your message clearly and naturally, with both male and female voice options. Voicer supports prioritization of all native NewsTicker data. With this unique feature, school closings can be temporarily interrupted with severe weather or breaking news messages, then resumed where they left off. This avoids long delays of more emergent information while still speaking all closings. With inferior systems, you risk not having your data synchronized among disparate systems, creating non-compliance and IT/engineering headaches. With NewsTicker Voicer, the operation remains centralized in the same realm as your visual renderer, providing both an elegant and intuitive solution. Once integrated, there is nothing different for your producers to do. They will continue to enter and manage NewsTicker content as they did before the FCC requirement. 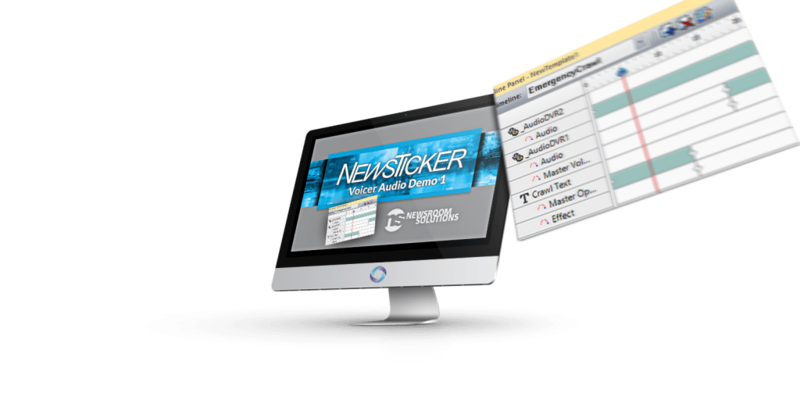 NewsTicker Voicer is designed to work in the background, maintaining your producer’s current workflow.